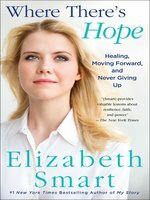 Elizabeth Smart follows up her #1 New York Times bestseller (October 2013), My Story—about being held in captivity as a teenager, and how she managed to survive—with a powerful and inspiring book about what it takes to overcome trauma, find the strength to move on, and reclaim one's life. In her fearless memoir, My Story—the basis of the Lifetime Original movie I Am Elizabeth Smart—Elizabeth detailed, for the first time, the horror behind the headlines of her abduction by religious fanatic Brian David Mitchell and his wife, Wanda Barzee. Since then, she's married, become a mother, and travelled the world as the president of the Elizabeth Smart Foundation, sharing her story with the intent of helping others along the way. Over and over, Elizabeth is asked the same question: How do you find the hope to go on? In this book, Elizabeth returns to the horrific experiences she endured, and the hard-won lessons she learned, to provide answers. She also calls upon others who have dealt with adversity—victims of violence, disease, war, and loss—to explore the pathways toward hope. Through conversations with such well-known voices as Anne Romney, Diane von Furstenburg, and Mandy Patinkin to spiritual leaders Archbishop John C. Wester and Elder Richard Hinckley to her own parents, Elizabeth uncovers an even greater sense of solace and understanding. 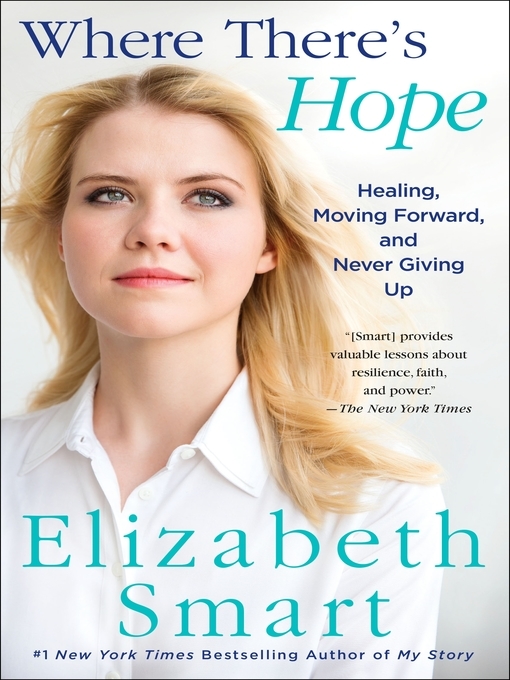 Where There's Hope is the result of Elizabeth's mission: It is both an up-close-and-personal glimpse into her healing process and a heartfelt how-to guide for readers to make peace with the past and embrace the future. ELIZABETH ANN SMART is an American activist and president of the Elizabeth Smart Foundation. She first gained widespread attention at age fourteen when she was kidnapped from her home and rescued nine months later. Abducted at age 14 and held for nine months (see the New York Times best-selling My Story), Smart is now she president of the Elizabeth Smart Foundation, aimed at "ending victimization through prevention, recovery, and advocacy." Here, she tells us how to carry on after adversity.